There is no better time to share Cass County Court Appointed Special Advocate (CASA) Program’s accomplishments than the month of April which is Child Abuse Prevention month. As of April 2, 2018, a total of 31 children from Cass County are under the court’s jurisdiction due to abuse and/or neglect. Children range in age from birth to 17 years old. Currently, 17 active CASA advocates and staff are serving 31 children. Without intervention, the odds are stacked against children in foster care. A child with a CASA advocate, however, spends 20 percent less time in foster care, on average, compared to a child without a CASA advocate. Studies show children with a CASA advocate receive more services that are critical to their well-being and are four times more likely to find a permanent home. 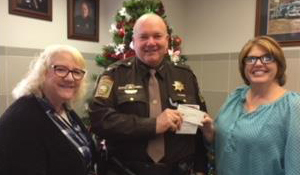 In November, County Sheriff’s Department took part in No Shave November and donated $1090 to our Cass County CASA Program. 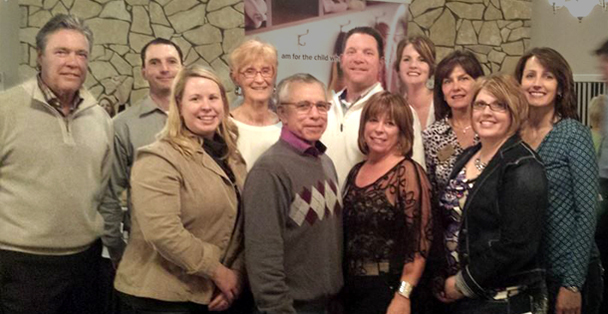 Cass County CASA held their annual volunteer appreciation dinner at The Hop Yard in Plattsmouth. The Hop Yard is owned by Bruce and Annette Wiles. Board members: (Front) Nikki Biesterfeld, Angie Jameson and Gloria Sykes. Our CASA program was overwhelmed with the generosity shown to the program and our CASA children. Angie Neumiller, the Executive Director for CASA, extends thanks to all who made our children's Christmas a little merrier. Christmas gifts, quilts and fleece blankets were provided to 32 children by our local community. All gifts were wrapped and delivered the gifts prior to Christmas. On March 23, 2018 Cass County CASA was awarded Non-profit of the year by Plattsmouth Chamber of Commerce. 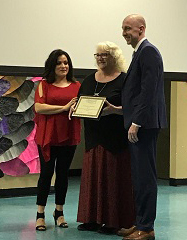 Cindy Cruz, Chamber Executive Director and Craig Todd, Chamber President presented the award to Diana Lindensmith, CASA Administrative Assistant. On March 18, 2017. CASA hosted their first Murder Mystery Dinner. Approximately 200 people attended the event, chaired by Nikki Biesterfeld and Angie Neumiller, which generated more than $7,000 to support the organization. Big Canvas' actors entertained the guests with the clues, murder and humor. Brenda Promes of Springfield solved the Murder Mystery. The evening’s festivities included a game with Evidence Clues and a Mystery Winner. Barbara Molck won $250 cash for selecting the winning Evidence bag. Debbie Green won the Mystery Chair – a $150 gift card to the Nebraska Outlet Mall. Special “Thanks” to the events Cuisine Connoisseur Sponsor: Scotty and Heidi Cline, Team Tenacious with Keller Williams. Other major sponsors were Expert Entertainer Sponsor: Rick & Patty Iske, Iske Crop Insurance. At the Donation Donator Level: Dr. Jason Rohrs, Louisville Family Dental & Pinnacle Bank, Louisville. Special thanks for dessert donations from Hy-Vee, Ladies of St. John’s and Herban Coffee Lab( all of Plattsmouth) as well as B’s Diner (Louisville). Thank you to St. John’s School in Plattsmouth for hosting the fundraiser, Stacey White for the event flyer & program design. The Cass County CASA program extends a heartfelt thanks to all who made this event so successful. Between January 1, 2016 to February 28, 2017, 18 CASA advocates and two staff members have advocated for 45 children. One child has been adopted; two have aged out and 30 have been reunified with their parents. 17 cases were opened. During this time, 18 advocates have logged more than 11,395 miles and 1,590 hours. Through the efforts of its advocates, Cass County CASA has provided support for truamatized children and saved the county approximately $40,297. Most volunteers donate about 2 hours per week (or 8-10 hours a month) and all training is provided. A portion of the pre-service training expenses were paid for by a grant from the Nebraska CASA Association and the Victims of Crime Act (VOCA) grant. CASA advocates usually work with one case at a time. They get to know the children and write reports for the Judge, making recommendations about what would be best for the child. They become a stable, reliable presence in the child’s life during a very difficult time, and advocate for the child to have a safe and permanent home as quickly as possible. Most volunteers donate 8-10 hours a month and all training is provided. If you are interested or want more information, please call or e-mail Angie Neumiller, Executive Director at (402) 296-9521 or contact us online. (L-R) Dan Andreas, Coli Hunter, Diana Lindensmith, Russel Orr and the Honorable Judge Steinheider. Four new CASA advocates were sworn-in by Judge John Steinheider on February 8, 2017. Advocates get to know the children they advocate for and make recommendations to the Judge about what would be best for the child. They become a stable, reliable presence in the child’s life during a very difficult time, and advocate for the child to have a safe and permanent home as quickly as possible. (L-R) Laurie McMullan, Roneisha Williams and the Honorable Judge Steinheider. Laurie McMullan and Roneisha Williams were sworn-in by Judge John Steinheider as our two newest CASA advocates on August 23, 2016. We are grateful for their willingness to serve. The Cass County Court Appointed Special Advocate (CASA) Program provided a fun packed “Kids Day Out” event, August 6, 2016, for school aged children within our CASA program. 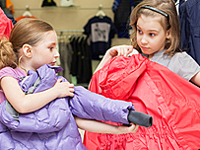 “Kids Day Out” allows the kids to shop, have fun and be with other kids in their situation while decreasing the financial burden on parents and foster parents. The day began with the group being transported to Nebraska Crossing at Gretna. Each child received $150 gift card to spend on clothing and accessories. The children shopped with their CASA advocate whom was their chaperone. Then everyone headed to Leopard Lanes in Bellevue. After eating lunch, our bowling adventure began. For many of the children this was their first time bowling. As they threw their bowling balls down the lane, they got to spend time with their siblings and other child in the same situation and to be “just a kid” without any worries or problems. Angie Neumiller, the Executive Director for CASA, extends thanks to CASA advocates Darla Blevins, Brian Coffman, Debbie Green, Ed James, Lee Jameson, Karen Muhvic and Nikki Biesterfeld (board member) as well as Linda James, Michelle Meyer and Scott Neumiller who also volunteered. A special thank you to Johanna Boston at Nebraska Crossing’s Management Office who gave each child a Columbia backpack, clothing and many other items from various stores. Our program received an anonymous donation of $5000 to fund our “Kids Day Out” event and our school supplies for each child and other children’s activities throughout the year. Fourteen children from ages 7-16 years old and 10 adults took part in this year’s event. Only seven children live within Cass County and will be attending local schools. Because there are not enough foster homes in our county available, the remainder live in foster or group homes outside of our county. Kids’ Day Out helped create some positive memories for the kids going back to school and brought joy to our volunteers who saw the kids’ smiles and heard theirinfectious laughter. 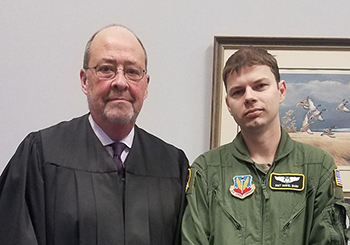 (L-R) Kyle Baumann, Brian Coffman and the Honorable Judge Steinheider. 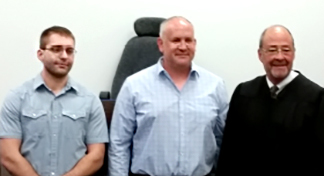 Kyle Baumann and Brian Coffman were sworn-in as CASA advocates by Judge John Steinheider on June 21, 2016. A total of 52 Cass County children are currently under the jurisdiction of the court because of abuse and/or neglect. Children range in age from birth to 19 years old. Currently, 16 active CASA advocates are serving these children. CASA advocates usually work with one case at a time. They get to know the children and make recommendations to the Judge about what would be best for the child. They become a stable, reliable presence in the child’s life during a very difficult time, and advocate for the child to have a safe and permanent home as quickly as possible. Most volunteers donate about 2 hours per week (or 8-10 hours a month) and all training is provided. The need for volunteers is increasing! If you are interested or want more information, please contact Angie Neumiller, Executive Director at 402-296-9521 or contact us online. Approximately 105 people attended “CASA Uncorked” a wine and beer tasting fundraising event which generated more than $6,500 profit through community sponsorships, ticket sales and donations to the organization. As the organization’s major annual fundraisier, all proceeds will benefit the Cass County CASA Program. The event was held at Slattery Vintage Estates in Nehawka, NE and chaired by Nikki Biesterfeld and Michelle Group. The evening’s festivities included several games. Barb Wagner was the winner of the Puncha Bunch. Chris Westover won the Heads &Tails game and received a basket donated by Hy-vee. 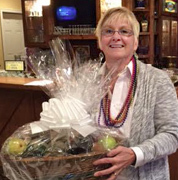 The Dettmer family was the highest bidders for the basket donated by Midwest Hop Producers, LLC. Roy Hudson, owner of Hudsker BBQ provided the meal and The Silver Wings Band was the event’s entertainment. Special “Thanks” to Diamond sponsors: Scotty and Heidi Cline, Team Tenacious with Keller Williams. Other major sponsors were Fast Grass (W-M Farms), Johnson & Johnson (John Harper), Absolute Healthcare & Esthetics, Dr. Tina Scott-Mordhorst, Fontanelle Hybrids (Jason Zoz), Iske Crop Insurance (Rick Iske), Lipstick Stain Boutique, Louisville Family Dental, McCaul Homes, Pinnacle Bank, Reinsch, Slattery, Bear, & Minahan,P.C., The Law Offices of Johnson & Pekny, LLC, Wade Insurance (Diane Wade), Waterford at Woodbridge, Hy-Vee and Midwest Hop Producers, LLC. We extend a heartfelt thanks to the Cass County community and the many individuals who supported Cass CASA in this way. (L-R) Melissa Holtzlander, Brenda Felthousen, Darla Blevins and the Honorable Judge Steinheider. We are proud to announce that three new CASA advocates were sworn-in by Judge John Steinheider on March 23, 2016. There are 30 Cass County children under the jurisdiction of the court because of abuse and/or neglect. Children range in age from two to 19 years old. Currently, 13 active CASA advocates are serving these children. To learn more, please contact Angie Neumiller, Executive Director at 402-296-9521 or contact us online. Barb Jameson and Karyl Terryberry made several quilts for our CASA children. In November, the CASA Giving Tree was put up in the court house. The CASA advocates were given a list of gifts their CASA children would like to receive. The gift tags were put on the Giving tree and available the week prior to Thanksgiving. Each child had at least two tags on the tree. Children’s ages ranged from 3 months to 18 years old. The gift tags only listed the gift the child wanted, their gender and age. Most of the gift tags were chosen within ten days of being on the Giving tree. Cass CASA was overwhelmed with the generosity shown to the program and our CASA children. Angie Neumiller, the Executive Director for CASA, extends thanks “to all who made our children's Christmas a little merrier. 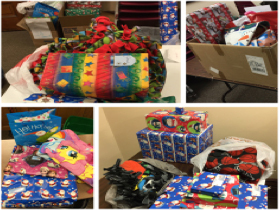 The gifts were returned to the CASA office and on December 18, all the gifts were wrapped and the CASA volunteers delivered the gifts prior to Christmas. Volunteers: (Front) Joanne Furlong, Denice Eaton-Heim, Ed James, Judie Kindle (Back row) Karen Muhvic, Lee Jameson, Kelly Linse and Heidi Cline. Not pictured are Cathi Bond, Jaimie Digby, Debbie Green, Emilee Maloney, Tracy Marshall, Rebecca Steube and Sylvia Slatten. Board members: Greg Zamora, David Nielsen, Mindy Rush-Chipman, Nikki Biesterfeld, Angie Jameson, Gloria Sykes and Jon Haizlip. Not pictured: Carrie Colgrove, Sean Minahan, Phil Pankonin and Annette Wiles completed their terms in June 2016. Angie Neumiller is the program’s Executive Director. 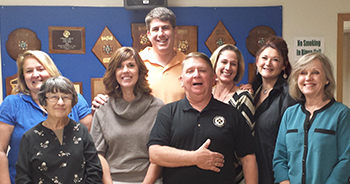 Cass County CASA held their annual volunteer appreciation dinner on November 2, at VFW in Plattsmouth for the advocates, board of directors and their guests. The volunteers were recognized for their dedication to the children they served this year. Over the last year, 16 CASA advocates have logged more than 7,424 miles and have given more than 925 hours in training, volunteer hours and case hours. Based on the 2015 GSA mileage reimbursement rate of .56 per mile and the Independent Sector’s Value of Volunteer Time rate of $20.13/hour, the CASA advocates have contributed and helped save the county approximately $22,778. Since October 1, 2014 through November 1, 2015, 16 CASA advocates have served 36 children. During this timeframe, 16 new children entered the court system and 17 children’s cases were closed. Eleven children returned home and six children were adopted. To learn more about how you can become a volunteer, please call Angie Neumiller, Executive Director at 402-296-9521 or contact us. 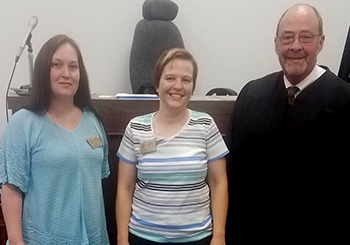 The Cass County Court Appointed Special Advocate (CASA) Program is proud to announce that four new CASA advocates were sworn-in by Judge John Steinheider on October 29, 2015. There are a total of 22 Cass County children who are under the jurisdiction of the court because of abuse and/or neglect. Children range in age from two to 19 years old. Currently, 13 active CASA advocates serve these children. To learn more, please call Angie Neumiller, Executive Director at 402-296-9521 or contact us online. 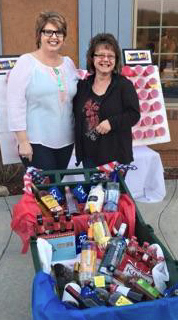 2015 CASA Uncorked Fundraiser a Great Success! CASA Uncorked was very successful in raisings funds to benefit the Cass County CASA Program which offers court-appointed volunteer advocacy. The event, chaired by Nikki Biesterfeld and Gloria Sykes, was held on April 18, 2015 at Slattery Vintage Estates in Nehawka, NE. The evening was attended by about 130 supporters and featured prizes, a raffle, entertainment by Silver Wings and food by Hudsker BBQ. Cass CASA extends a special thanks to Diamond sponsors Rick Iske Crop Insurance (Rick Iske) and New Traditions Home & Realty (Heidi Cline, “The tenacious realtor”). Other major sponsors were Fast Grass (W-M Farms); Johnson & Johnson (John Harper); Pinnacle Bank; Lamson, Dugan & Murray, LLP; Louisville Family Dental; Mark Pogreba of Nelson, Van Denburg and Campbell Wealth Management Group, LLC; Absolute Health Care/Lipstick Stain Boutique and Murray Beaver Lake Lions. Pankonin Inc.; Plattsmouth State Bank; Teri Scholting Louisville American Family; Union Junktion; Roloff Inc. and Hy-Vee were other businesses sponsoring the event. Thank you to Slattery Vintage Estates for hosting the fundraiser. Besides the business’ support, many individuals also donated time and resources to make this a successful event. Cass County CASA is grateful to all those who made this event a success. 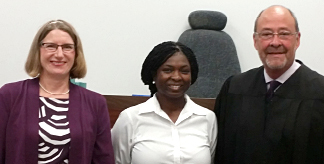 Three new CASA volunteers were sworn-in by Judge John Steinheider on February 17, 2015. A reception followed to wish the new CASA volunteers well in their advocacy for Cass County’s abused and neglected children. New CASA volunteers (L-R) Heidi Cline, Cathi Bond and Jen Rackley with Judge Steinheider. Currently 19 Cass County children are under the jurisdiction of the court because of abuse and/or neglect. Children range in age from birth to 18 years old. Ten CASA volunteers are advocating for these children. CASA volunteers are ordinary people who have an extraordinary impact on the lives of abused and neglected children. Most trained volunteers donate about 8 hours a month. CASA volunteers usually work with one case at a time. They get to know the children, write reports for the Judge and make recommendations about what would be best for the child. They are a stable, reliable presence in the child’s life during a very difficult time and advocate for the child to have a safe, permanent home as quickly as possible. A portion of the pre-service training expenses were paid for by a grant from the Nebraska CASA Association. If you are interested in becoming a volunteer or want to learn more, please call Angie Neumiller, Program Director at (402) 296-9521 or contact us online. Cass County CASA held their annual volunteer appreciation dinner on October 28 at Blake’s Lot 177 in Louisville. 13 volunteers as well as CASA board members were present at the dinner. The volunteers were recognized for their dedication to the children they served over the past year and the in-kind gifts they so willingly share. Volunteers represent a wide-range of communities in Cass County including Plattsmouth, Louisville, Murray, Union, and Weeping Water. 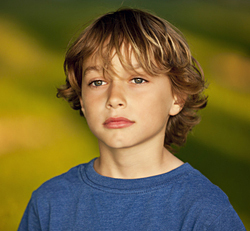 On October 1, 2013, eight CASA volunteers were advocating for 14 children. Since then, 18 new children entered the court system for a total of 32 children. Eight children’s cases were closed. Five returned home, legal guardianship was completed for two and one teenager aged out of the system. Over the last year, 16 CASA advocates have logged more than 11,710 miles and 1,128 hours in training, volunteer hours and case hours. Based on the 2014 GSA mileage reimbursement rate of .56 per mile and the Independent Sector’s Value of Volunteer Time rate of $20.13/hour, the CASA advocates have contributed and helped save the county approximately $29,265. Cass County CASA is a 501(c)3 organization funded primarily through public and private donations. Funds received from Midland Community Foundation and Cass County KENO funds cover a small portion of the advocates travel expenses while visiting children. For several years, Cass County CASA has received grants through the Nebraska Crime Commission, NE CASA Association, county KENO funds and donations. With many grants no longer available, CASA is looking for new ways to raise funds to cover operational costs. 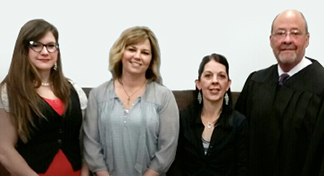 The Cass County Court Appointed Special Advocate (CASA) Program is proud to announce that seven new CASA Volunteers were sworn-in by Judge John Steinheider on April 23, 2014. A reception was held following the ceremony to wish the new CASA Volunteers well in their advocacy for Cass County’s abused and neglected children. For more information, please call Angie Neumiller, Program Director at 402-296-9520 or contact us. New Cass County CASA volunteers are, front from left, Ed James, Jean Colbert and Heidi Condrey; and back, Karla Bailey, Sarah McIntire, Debbie Green, Ute McLaughlin and Judge Steinheider. Greg Zamora accepted a $4,000 grant on behalf of Cass County CASA from Midlands Community Foundation. The award was presented on April 23, 2014 at the foundation’s office in Papillion. Twenty-one other non-profit organizations also received grants. We are most grateful for MCF's support. Congress appropriated $6 million for the National CASA program. Federal support funds a large portion of the grants National CASA’s makes to state and local programs as well as program, communications and marketing work on a national level. While we are grateful that National CASA received this appropriation, we still need additional income sources. The grants we receive from National CASA or Nebraska CASA accounts for just over 27% of the funding needed for Cass CASA's mission. The average annual CASA cost for recruitment, training, supervision, and continuing education per volunteer is $2,696. The average annual CASA program cost per child served is $1,140. Please support us as we work to advocate for the children we serve. CASA Uncorked Fundraiser a Huge Success! CASA Uncorked, a wine and beer tasting fundraiser for Cass CASA, raised more than $9,375 to support the organization. Event chairpersons were Nikki Biesterfeld and Gloria Sykes. Thank you to our communities for attending and to our event sponsors and businesses that supported us. 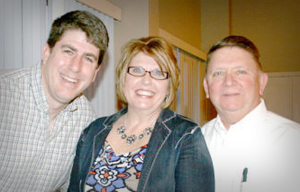 Cass County CASA executive director Angie Neumiller with volunteers Lee Jameson (left) and Ed James at CASA Uncorked. Supporting Businesses: American Legion Post 353; Blake’s Pharmacy; Home State Bank; Hy-Vee- Plattsmouth; James Arthur Vineyards; Lot 177; Louisville Liquors; Lucky Bucket; Murray Bank; Nate Kreifels; Nebraska Brewing Company; Pankonin's Inc; Rockin' Rooster Winery; Schilling Bridge; Slattery's Vintage Estates; Upstream. Cass County CASA board members front, from left, are Mindy Rush Chipman, Greg Zamora, Joni Warga and Angie Neumiller; and back, Phil Pankonin, Sean Minahan, Gloria Sykes, John Alexander, Nikki Biesterfeld, Annette Wiles and Angie Jameson. You Can Add to Our Event Calendar! Invite a Cass County CASA member to speak about the important work of our volunteers. We can tailor the content and time frame to meet your needs. Please contact us to talk about your ideas and fill out a fundraising form so we can help promote your event. 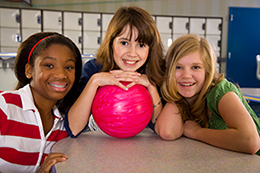 $2,000 grant from The Berneice Hopper Private Foundation to support "Kids' Day Out" Learn more. “Kids' Day Out” a Great Success! In August 2014, Cass County CASA hosted the first annual Kids' Day Out. Fourteen children in our CASA program shopped at Nebraska Crossing Outlet Mall, played at Eugene T. Mahoney State Park's Activity Center and had a pizza party. This event allowed kids to socialize with others in their situation and decreased the financial burden on parents and foster parents. A grant from The Berneice Hopper Private Foundation and some KENO funds paid for the event. First Baptist Church and One Life Church in Plattsmouth as well as CASA volunteers and event volunteers also supported Kids' Day Out. Please consider supporting us financially as we advocate for the children we serve.